The challenge on the Cuttlebug Mania blog this time is to incorporate a frame or frames into a design, obviously using a die cutting machine and die/s. 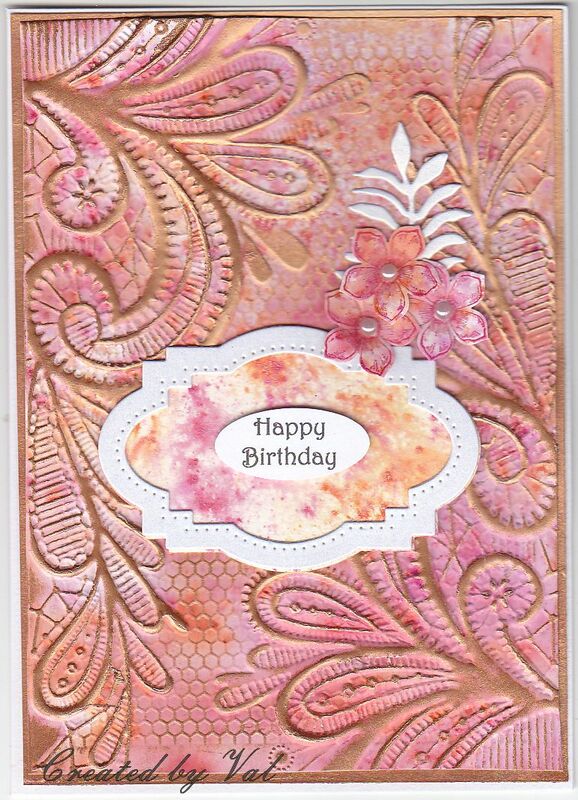 For my background I've used Pixie Powders onto white card and run it through with a 3D embossing folder, following up with some copper gilding. A small white frame was die cut with a matching backing of some of the coloured card with a simple sentiment and a few stamped and punched flowers and a leaf to use up the scraps. What a stunning card Val! 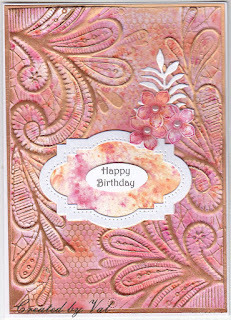 Such gorgeous colours too and the embossing folder is stunning for the background.